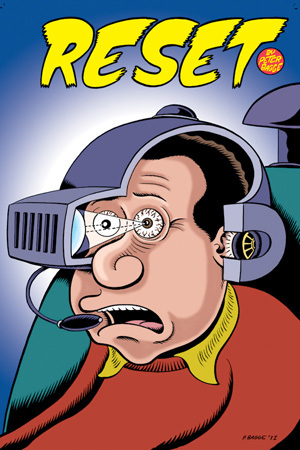 I had a chance to chat with Peter Bagge about his upcoming series, Reset. You may recognize Peter from his work on Apocalypse Nerd. The book blurb from the Dark Horse Comics press release really explains Reset best: "If you could relive major events in your life, would you take a stab at making things better—and would your best attempts only make things worse? Or would you use your second chance to put your most twisted, perverted fantasies in motion? These are questions washed-up actor and comedian Guy Krause asks himself after he signs up to be the main research subject for a virtual-reality experiment." Doesn't that sound awesome? Just wait until you see what Peter Bagge had to say about it! It has been a crazy week for Wysefyre and I, with both of us running around crazy, then passing out. Still, the geek world marches on with news. Julie Taymor is sitting pretty with her ridiculously awesome settlement from Spider-Man: Turn Off The Dark producers. Can someone give me $10k a week?! Comic Book Men premiered this week with "meh" and "blah" reviews. Personally, I was bored during the five minutes I watched but others stuck through the hour and were offended more than bored. Did anyone out there like this show? 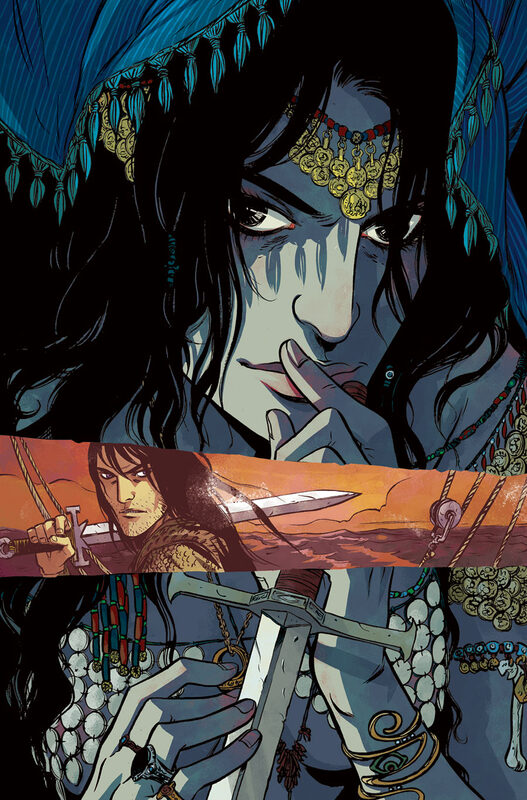 We held a contest this week for a autographed Conan #1 and the winner has been emailed! Go check your inbox now and see if it was you! 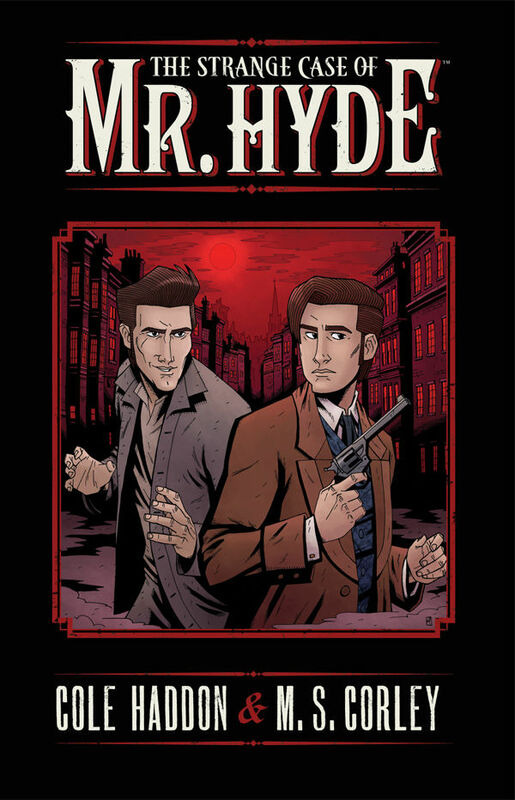 I had the awesome chance to chat with Cole Haddon, the brains behind The Strange Case of Mr. Hyde from Dark Horse Comics. This was particularly fun, as I am a huge fan of this story. On top of that, Cole is just a hysterical guy. If you want to find out, make sure you follow Cole Haddon on twitter! IGH: We all may recognize Thomas Ayde, the inspector in The Invisible Man, as the hero in this story. With this story as the prequel of sorts for The Invisible Man, will the Adye we see in that case be the same man from the original tale? CH: First off, good catch. Most people fail to make the connection between my Inspector Adye and H.G. Wells’s The Invisible Man. I’ve often said The Strange Case of Mr. Hyde is his “secret origin,” and so, to answer your question, yes, the intention has always been that Adye would become the hero of that novel…or, rather, my interpretation of it. IGH: We watch Ayde begin to understand the world around him, through his education and corruption by Dr. Jekyll & Mr. Hyde. Ultimately, do you think he finds a sort of peace? CH: I think Adye has a long road ahead of him. He’s identified himself as a person of very specific beliefs his entire life, and, by the end of The Strange Case of Mr. Hyde, that’s all been taken away from him. He’s rudderless, but also full of cautious optimism that maybe, just maybe his re-education by Hyde has prepared him for the monstrous world that’s been opened up to him. So, yes, I think he does find a sort of peace…that won’t last. IGH: In your afterword, you mention that Adye's betrayal of Hyde is forgiven because he makes up his own mind. I felt that Adye never betrayed Hyde, instead he just proved that he learned from him. In looking back, do you still feel that Adye betrays Hyde? CH: I think that Adye betrayed his friendship with Hyde, but fulfilled his responsibility as a human being according to Hyde’s code of ethics. It’s the great irony of the story, as far as I’m concerned. Hyde’s ethics are much more solid and humanistic (despite his homicidal “madness”) than any of the “good, upstanding” characters we meet in the comic book. This week has been one filled with ups and downs. While prepping for a week filled with awesome events, Wysefyre and I found out that Whitney Houston passed away. We just want to thank Ms. Houston for her contributions to the music industry. Our thoughts are with her family and friends. Friends fight this week as Tony Moore filed lawsuit against Robert Kirkman over ownership of The Walking Dead. This isn't the time they have fought in court, so it is especially sad to see them back here. GeekGirlCon 2012 has dates! The hit of 2011, GeekGirlCon 2012 will be August 11-12 in Seattle, WA. Start planning to go now! A call for help has been issued to geeks! There is now an online petition asking for people to boycott Marvel until they recognize Jack Kirby's rights as a creator and make recompense to his heirs. A few fans are supporting this, including one that will be boycotting Avengers in solidarity. However, I doubt there will be enough boycotting to make a difference to Marvel. 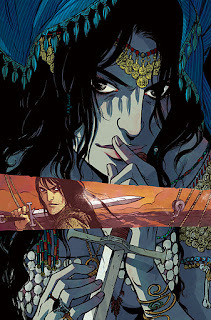 Make sure that you enter our contest to win a Conan #1 and Conan poster, both signed by Brian Wood and Becky Cloonan! It's a great issue from Dark Horse Comics! Editor’s Note: Since the amazing Christopher Guest celebrated his birthday this past Sunday, here is a look back at one of his amazing films. And no, it’s not Princess Bride! Our fav contributor Teacup takes a look at the hilarious Best In Show! Happy Birthday Chris! 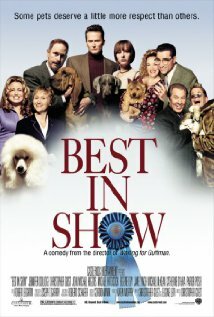 I recently sat down to watch Best In Show, a comedy by Christopher Guest and Eugene Levy. Best in Show follows five dogs and each their eccentric owners on their quest to win 'Best in Show' at the fictional Mayflower Kennel Dog Club Show. Guest and Levy's other works include the cult classic This is Spinal Tap and A Mighty Wind. The film is in documentary style, or, to be more specific, mockumentary style, parodying both the people who attend and compete in dog shows and the documentary style itself. Presenting the story in documentary style is a storytelling choice I'm not usually fond of, but Best in Show makes it work. The documentary style, in which the actors speak to the camera and help tell the story, makes a film more intimate, as if you're being spoken to by the actors on screen, creating a deeper connection between the audience and the actors. It also allows the filmmaker to treat their subject matter in a completely serious matter, which is great for a comedy. Each neurotic character trait and each awkward moment is intensified by the supposed 'real life' aspect of the 'documentary.' And Best In Show is definitely full of awkward moments and neurotic character traits. Hi everyone! How's the new year been for everyone so far? It's been pretty busy for us here at IGH, but we didn't forget about you wonderful people. As you can see, we're starting to get back into the swing of things, and this year is going to rock. We have a bunch of great things happening here, and we can't wait to share them with you. One of the things I've been doing is going through all the videos I've been sent or found. There were a lot of videos to sift through. Here are a few. This brilliance is from The Oatmeal. 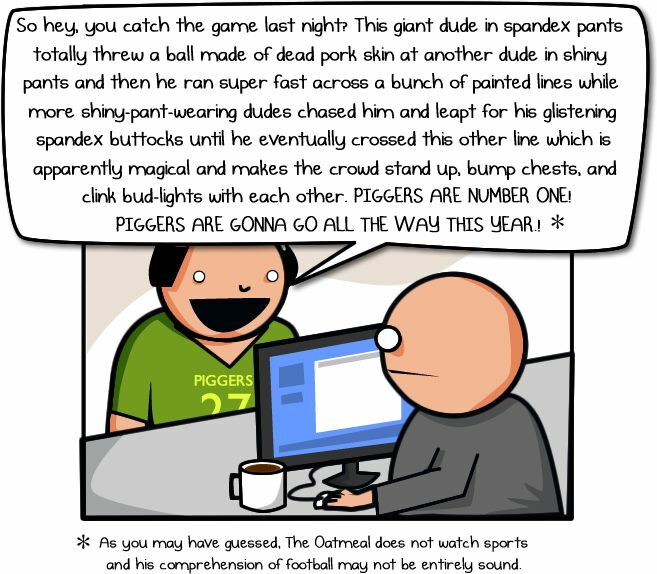 If you don't read this web comic, you need to. It was announced that the popular studio Pizza Island ended this week. The studio, filled with indie female comic creators, let their lease lapse since so many of them were moving onto new things. Pizza Island will always be remembered as an awesomely creative space. Non-Player, one of the biggest premieres of 2011, is being made into a movie! Surprising, since we haven't even gotten issue 2. I guess that means the script going forward is amazingly good. In the you-read-my-mind news this week, Alamo Drafthouse is releasing Princess Bride branded wine! A bottle of the As You Wish White is a huge want for Valentine's Day for your hunny. 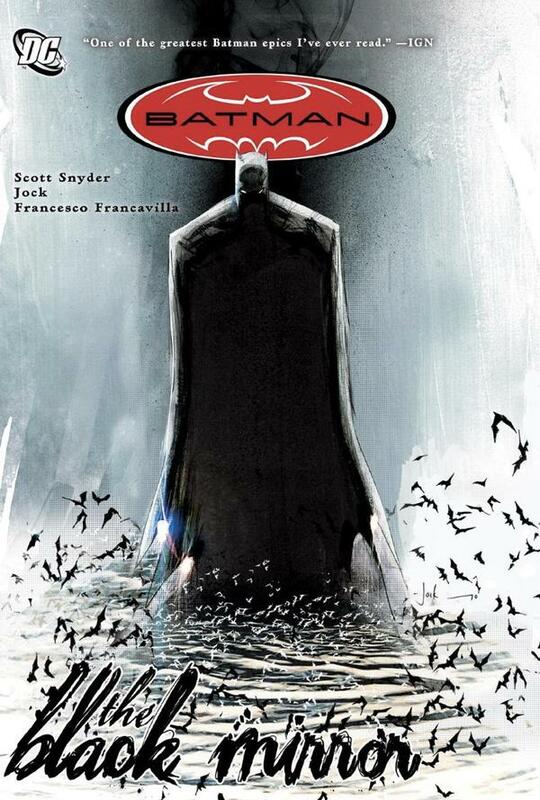 Scott Snyder at Midtown Comics: The Hottest Ticket in Town! 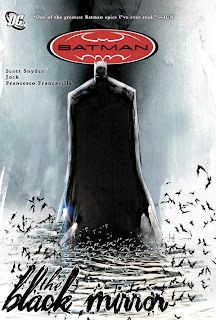 The January Book Club at Midtown Comics was Scott Snyder discussing his Batman graphic novel, The Black Mirror. It was a night of surprises like the Midtown Comics crew hasn't seen for the book club before. That afternoon, I got an email from a friend telling me to get to Midtown Comics right after work. I thought he was just excited to see me. I ended up leaving work late and rushed over there. What I found was not what I expected. The alley next door was filled with lines of expectant geeks. And I mean filled. I went upstairs to find out that people had been waiting since before 3pm. Normally, the book club is 10-20 people, so I was completely thrown.